An alternative to using steel shoes, Old Mac's G2 Multi-purpose Horse Boots provide 100% hoof protection, increased traction and allow for the natural hoof mechanism of the horse to work optimally. It is very important to have the correct size of boots for your horse. To get accurate measurements of your horse's feet, they should be freshly trimmed by their usual farrier before measuring. 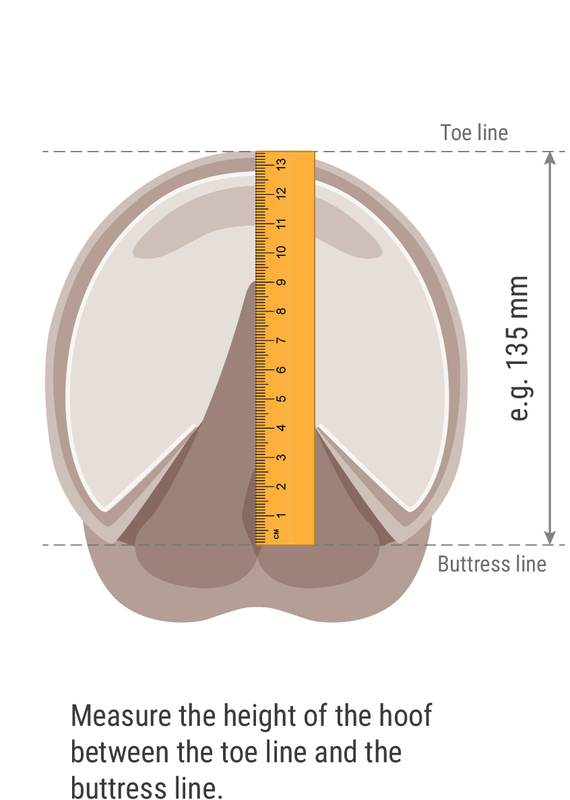 Length: measure in millimetres from the toe to an imaginary line drawn across the hoof between the heel buttresses. Do not include the heel bulbs in this measurement. 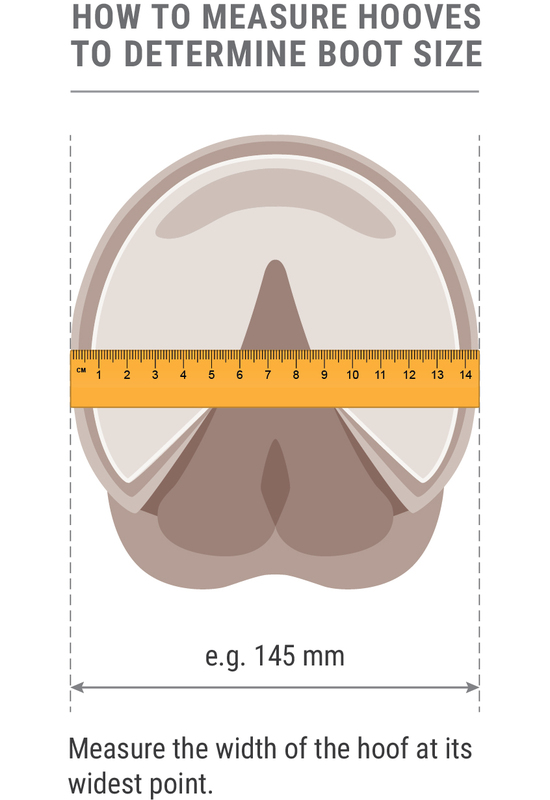 Width: measure the width of the hoof at the widest point (in millimetres). The correct size for your horse will be dependent on the largest of the measurements. Please let us know if any help is needed choosing the correct size. Click the button below to add the Old Mac's G2 Hoof Boots to your wish list.